My experience with being a Bully. When I was quite young, my cousin and I, who were less than a year a part, spent a lot of time together. We basically grew up as sisters. I would spend a lot of time at her house, and with this was the experience that ‘she was the boss’. Now, while I was the older one, this experience of her being bigger, or stronger or the authority of me while at her house was ever present. I never liked the experience, though for whatever reason I felt as if I had to check with her before I did anything, like get a snack or play with a toy or go to different part of the house. So while she never, as far as I recall, outwardly express this ‘bully-ness’ towards me, I felt within myself that I was being bullied… that she was the authority and I had to do what she said, and it was an experience of fear, like she could harm me in some way if I did not follow her rules. Yesterday I noticed a cool point come up within me. I had a lot of responsibilities staring at me during the day – a lot of things requiring my attention. Not because I had allowed them to pile up or because of some lack of responsibility created such a consequence – simply the timing of things and before me were many things needed to get done. Talking more about the death penalty, I did a bit of research as I was intrigued by the topic and it’s history and origins within humanity. The death penalty, I’m sure like all punishments for breaking the law, stands as a deterrent – something put into place to be carried out as punishment if one were to do or participate in certain acts and behaviors. Though… throughout the history of mankind, crimes are still committed and these deterrents do not show any relief in the amount of crimes existing. So then one must consider… if the threat of death or being put in jail for the rest of one’s life does not stop one from acting out certain behavior, is it really doing it’s job effectively? Or is there something else we are missing? I mean to have the death penalty or life in prison be the reason that keeps one from committing a crime yet people commit crimes still… there must be something else we are not considering in terms of WHY certain behaviors exist. The other day I was sitting around with a few people and one person was reading/mentioning an article about a state that was considering bringing back the firing squad for an option in acting out the death penalty. This spurred an interesting discussion. 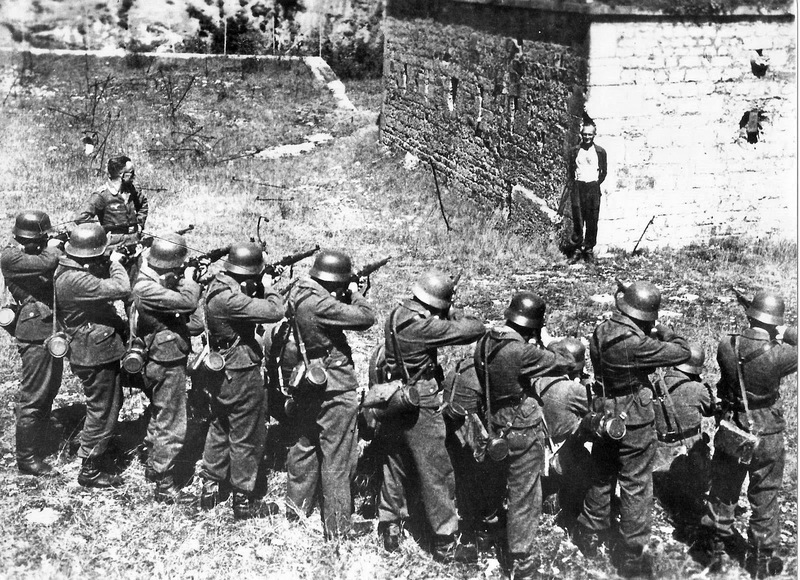 One person mentioned that in such a situation of a firing squad, one person was always handed a gun that was a blank, yet out of all the shooters, no one knew which was had the blank and which one had the loaded gun. In this, it was so that the shooters did not feel guilty or have to face that they may have been the one to in fact shot the bullet that killed another human being. The internet is just another medium in which we used to inflict abuse and harm onto each other. The stakes have been raised though, as the lack of accountability runs rampant and the anonymous become bolder to say and do things they could never in the face of their victims. How can you support yourself when being bullied online? What is important for you to know about the nature of bullying to help understand why it exists and how you can help change it by changing yourself. How can bullying give you insight to yourself and how can the Desteni I Process support you to do just that? These are just some of the things we will be discussing in this Desteni I Process LIVE Google Hangout. When and as I see myself reacting negatively as judgment toward others in terms of their behavior or what they are doing, I stop and I breathe. I see, realize, and understand that this negative reaction as judgment indicate this point existent within me – where what I am judging/reacting negatively towards another about is the same point I've participated with throughout my life, or am currently participating within. And so I commit myself to not participate in judgment towards others, and instead in the moment, breathe and take back self-responsibility as identifying where in my life I've done exactly the same thing, and so within this – stopping blame/judgment and bringing all things back to myself as the cause, source, and origin. I commit myself to realizing a reaction towards another within me is never about anyone else, and always about me. The other day while participating in a medical study – I noticed a reaction towards one of the staff. She was a young girl and you could see that she put a lot of effort in her physical presentation; what she wore, how her hair looked, and how her make-up was done. Soon enough we (me and the other study participants) found out she was the daughter of one of the nurses who had been also working with us. What I observed within myself while observing this girl is how much she placed emphasis on the way that she looked, and within this, judgment towards her for that. A particular behavior I could see clearly that indicated this was how she would constantly check her reflection in the mirror of the windows. It’s was quite obvious she was doing this, or at least from my perspective. The judgment was she is conceited and lost in her own image and reflection. 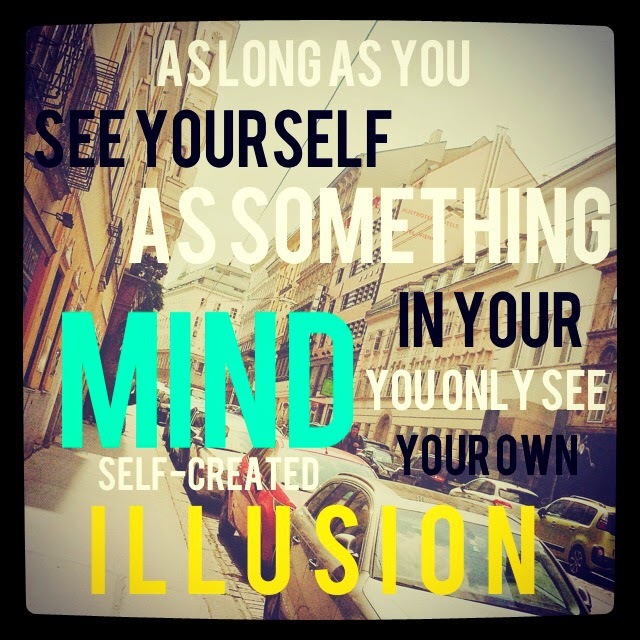 Some self-forgiveness here for the instant judgments and assumptions I see myself think up in my mind when meeting new people, and how this actually reveals more of who I am as the relationship with myself. 397: Why Should I Let go of a Grudge? In the last few days, I've been working with someone who keeps mentioning this point about something another co-worker did to them. For a handful of days, at least one comment has been made about this person that ‘did wrong’ in the eyes of my co-worker. In fact, it's the exact same words coming out of this person's mouth, day after day, about this 'bad action' by another co-worker. I find this interesting because it’s like this point of not being able to let it go as such an clear example. Holding onto a grudge – keeping that past moment present; constantly carrying it around wherever he goes. I’m sure we can all relate to this. I mean I can – when I find myself repeating the same sentence or statement to various different people. In this, re-living whatever it is I am holding onto over and over and over again, re-telling the same old story.